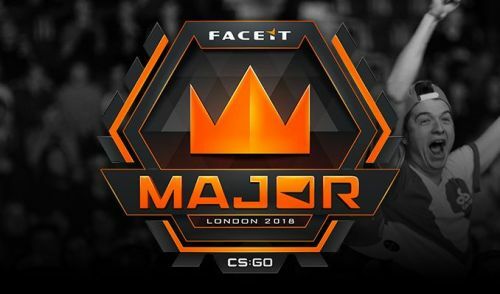 London's first ever CSGO Major has completed its first phase. The New Challengers Stage has concluded and with it we have our 16 New Legends. Eight teams have been eliminated and Eight have become legends, guaranteeing a spot in the next Major doing so. From tragic exits to incredible underdog journeys, we have seen it all in this stage. So let us look at all the teams that made their way into the New Legends Stage and the teams that got eliminated and had their dreams shattered. As per the Swiss system, teams are drawn against other teams with the same record. The Buchholz system was used to draw the teams against each other based on their record and standings in the tournament. Whenever a team wins or loses 3 games they either qualify or get eliminated respectively. So 8 teams with records of 0-3, 1-3 and 2-3 got eliminated while teams with records of 3-0,3-1, 3-2 got through to the next stage. The last round where teams with a 2-2 record face each other are Best of 3 matches while all other matches are Best of 1. Let us take a look at which team fared well and which teams didn't. The most tragic moment of the entire tournament must be when the legendary team of Virtus Pro failed to win a single game in the entire tournament. The once best team in the world fell in 3 consecutive games to Ninjas in Pyjamas (5-16), Optic Gaming (13-16) and North (6-16). Managing only 24 rounds in 3 maps, this is the worst performance in VP's history. The Turkish side was expected to have a breakout performance of their careers at London. But disaster struck when one of the team's best players ngiN was denied visa at the last moment. The team's coach HardStyle who has never played competitive CS in his entire life stood in. But without their regular line up Space Soldiers didn't stand a chance as they bowed out after 3 losses against Rogue (10-16), Complexity (11-16) and Renegades (15-19). Renegades has been the best Asian team for years. They have consistently represented Asia as the region's best team. Their toughest competition came this year as the Australian team was challenged hard by China's Tyloo Gaming. Renegades thoroughly underperformed and got eliminated after 3 losses in 4 games. They won against Space Soldiers (19-15) but lost to BIG (6-16), Gambit (10-16) and Tyloo (10-16). Rogue surprised everyone when they won their first match and had a strong performance against tournament favorites Astralis. But unfortunately, they lost their next two games and were eliminated from the Major with a record of 1 win and 3 losses. The managed a victory over Space Soldiers (16-10) but lost to Astralis (13-16), Team Spirit (4-16) and North (23-25). Gambit won the PGL Krakow Major in 2017. But from there everything has been downhill. They lost their in-game leader Zeus and has never recovered. They were part of this Major thanks to their win in Krakow as the Top 8 get qualification for the next two Majors. They had a very poor showing and got eliminated after 3 losses and only 1 victory. They beat Renegades (16-10) but fell to Tyloo (17-19), Hellraisers (14-16) and BIG (8-16). Optic reinvented themselves after they moved away from NA to Europe. Signing a Danish side they became a very strong team capable of hanging with several top teams in the world. They even showed their potential as they picked up wins over Virtus Pro (16-13) and Tyloo (28-26). But they were forced out after losses against Team Liquid (4-16), HellRaisers (23-25) and BIG (0-2 in a Best of 3). Perhaps the weakest team in the tournament, Team Spirit edged their way into the major with little expectations. They didn't disappoint as they managed two victories over North (16-13) and Rogue (16-4). But they had to go home after losses against Vega Squadron (14-16), Astralis (3-16) and Tyloo (0-2). North won the last Premier Tournament just before the Major. Their victory instantly made them one of the contenders for the tournament. But the world was shocked when they got eliminated after a shocking loss against Vega Squadron (0-2). They also lost against HellRaisers (17-19) and Team Spirit (13-16). Their only victories came against Virtus Pro (16-6) and Rogue (25-23). Top 10 Largest Prize Pools in E-Sports History.